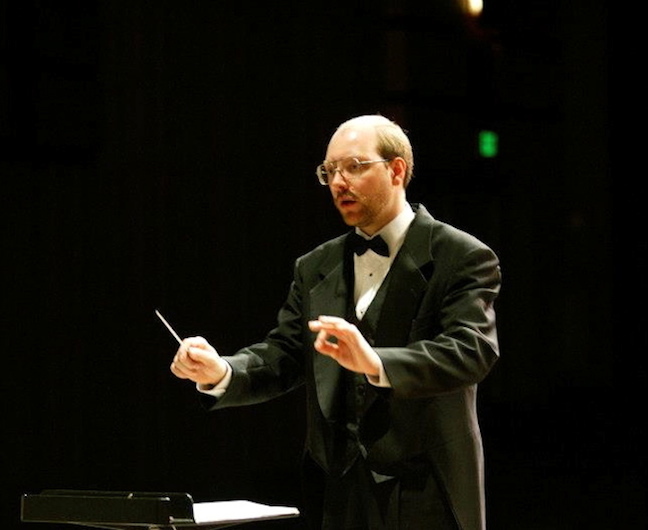 Classical music: The Ear names the Middleton Community Orchestra and adult amateur music-makers as Musicians of the Year for 2014. Today is New Year‘s Eve, 2014. 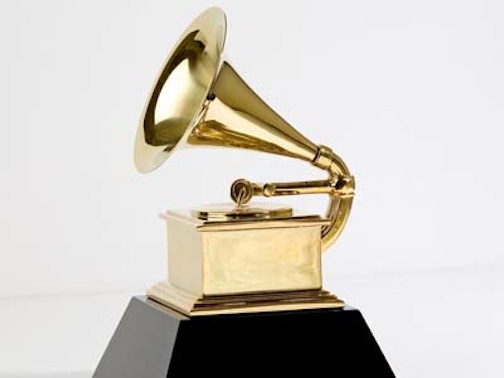 Each year, I close out the old year and greet the new year by naming a Musician of the Year. I heard a lot of great music this past year. Much of it you can relive in the year-end roundup by John W. Barker, the regular classical music critic for Isthmus who also contributes so much to this blog. 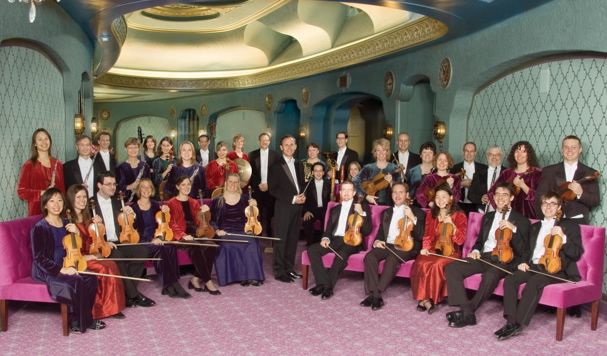 One of the ways in which John and I agree –- and in fact, we usually do agree — is regarding the Middleton Community Orchestra (below) for its admirable achievements in only four seasons. As loyal readers know, I am a big supporter of music education. In fact, for the sake of full disclosure, I should say that I sit on the board of the Wisconsin Youth Symphony Orchestras (WYSO). And music education for young people and young students is about a lot more than music, as so much social science and psychological research continues to prove. But this year I want to recognize ADULT amateur musicians. These days, adult amateurs may seem unusual or an exception. But the historical fact is that for centuries, classical music was primarily the domain of amateur rather than professional performers. So I am singling out the Middleton Community Orchestra, which uses some professional talent, but relies mostly on amateurs. I have already written about how they point the way to the future for larger ensembles with the shorter programs; with the kind of music that is programmed; with the low price of admission ($10 for adults and FREE for students); and with the post-concert socializing with musicians and other audience members (below) — all of which adds up to a laudable community service that integrates a performing art into everyday life and society. That is a mission worth supporting. But the MCO, founded by members Mindy Taranto and Larry Bevic, is as much about hearing great and accessible music as it is about community service. 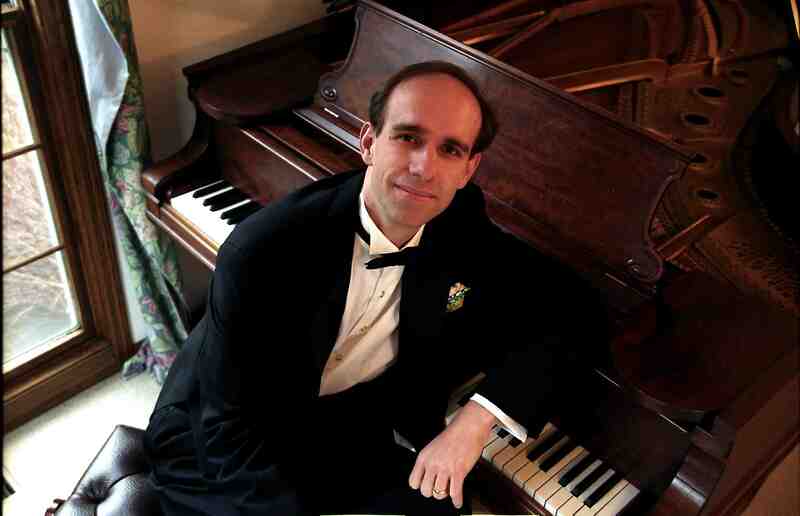 I will long remember piano concertos by Wolfgang Amadeus Mozart and Edvard Grieg played by UW-Madison pianist Thomas Kasdorf, who will perform the famously popular Piano Concerto No. 1 in B-Flat Minor — the signature concerto of Van Cliburn — by Peter Ilyich Tchaikovsky with the MCO this spring. 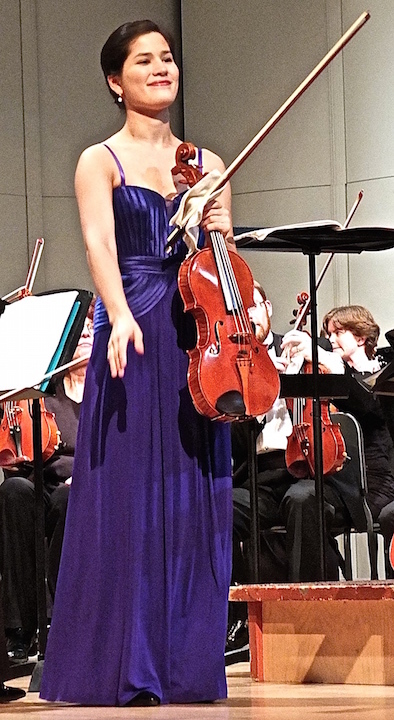 I will also remember Madison-born, UW-trained and Juilliard-trained violist Vicki Powell (below) in shorter and unknown works by Johann Nepomuk Hummel and Max Bruch. I will long remember former MCO concertmaster Alice Bartsch, who studied at the UW-Madison School of Music, in a wonderful interpretation of a Romance by Antonin Dvorak before she left for graduate studies at McGill University in Montreal, Canada. 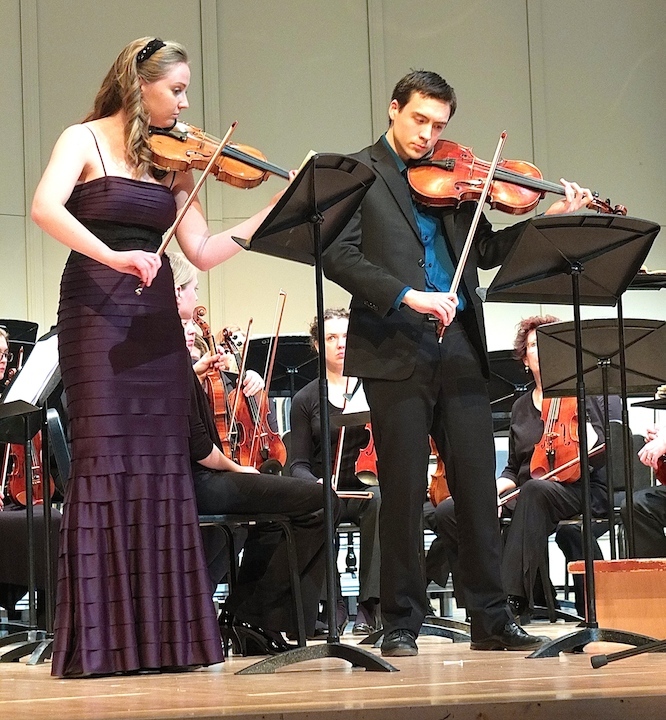 The same held true for Alice’s gifted violinist sister, Eleanor Bartsch,when she was joined (below) by fellow UW-Madison grad Daniel Kim in Mozart’s sublime Sinfonia Concertante for violin and viola. 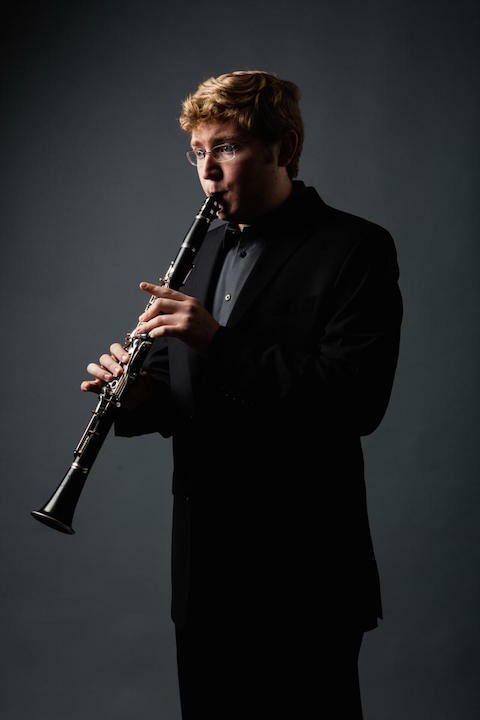 And I will remember the most recent performance with Madison Symphony Orchestra’s amazing principal clarinetist Joe Morris performing a rarely heard concerto by the under-appreciated 20th-century English composer Gerald Finzi. 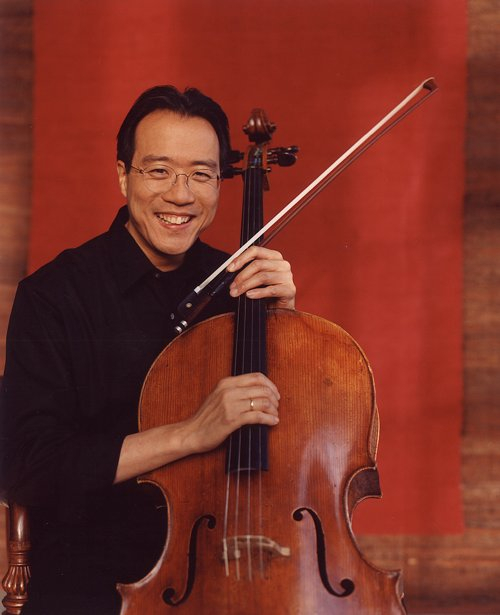 As with so many groups, including professional ones, booking great soloists seems to push the performers in the group to an even high level of playing. 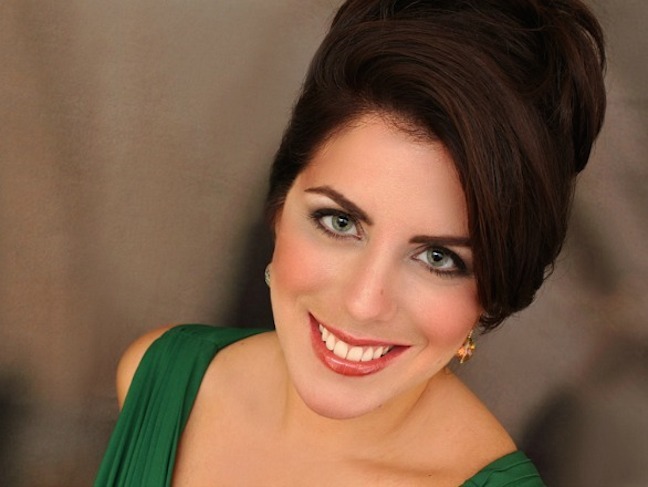 But the MCO takes care to book soloists with local ties, including soprano Emily Birsan who recently was at the Lyric Opera of Chicago, which adds an element of local pride to the event. 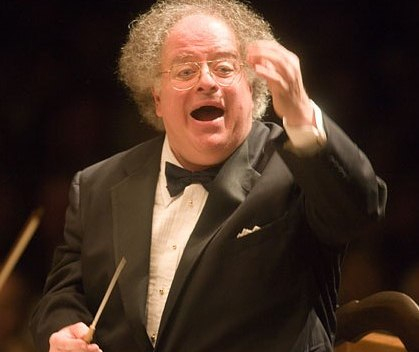 The MCO has some appealing concerts coming up in 2015. 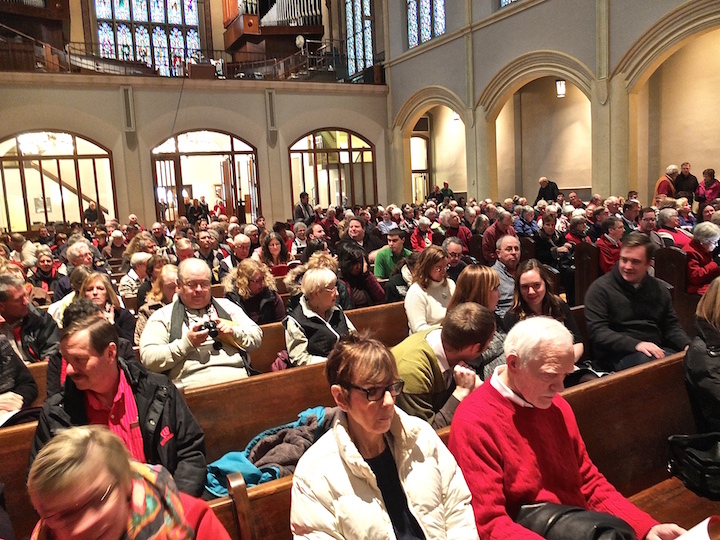 It deserves to have even larger audiences at its mid-week concerts. Here is a link to their website, where you can see photos and learn about how to support the group and how to join the group as well as what concerts and program the MCO will perform during the rest of this season. But I would also be remiss if I didn’t mention other ways that are outlets for adult amateur musicians. 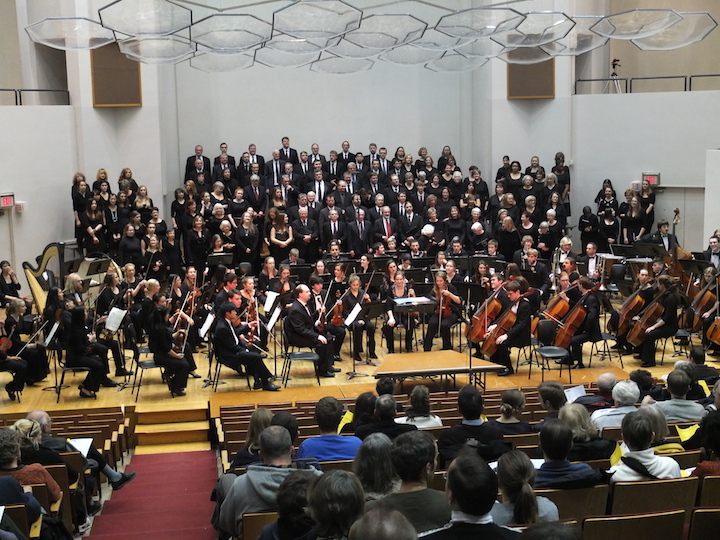 They include the University of Wisconsin Choral Union (below) and many other local choirs, including the Isthmus Vocal Ensemble, the Madison Symphony Chorus and Madison Opera Chorus, the Wisconsin Chamber Symphony Chorus, the Wisconsin Chamber Choir, the Festival Choir -– to say nothing of the many church choirs, secular choirs and adult amateur performing groups in Madison and the surrounding area. So leaving 2014 and heading into 2015, The Ear -– who is himself an avid amateur pianist — proclaims the new year to be The Year of the Adult Amateur. If you want to sing, join a choir. 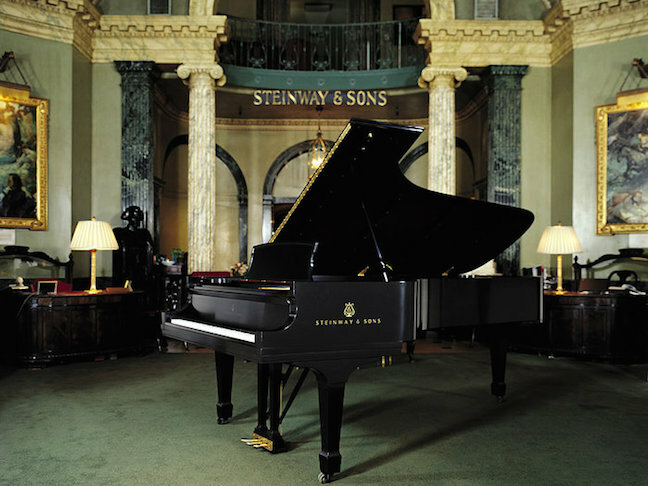 If you want to play an instrument, start practicing or sign up for lessons. It is never too late, even after retirement. And if you want to perform and share the joy and love of music with others, find an outlet, including the Middleton Community Orchestra. Nothing beats the thrill of experiencing music from the inside. So don’t just listen to music. Classical music: Here is a wrap-up of The Best Music of 2014 in Madison, thanks to Isthmus critic John W. Barker. The Ear hates duplication, especially when it is unnecessary. Still, I often do a wrap-up of the past year, something most media have traditionally done as the new year approaches. 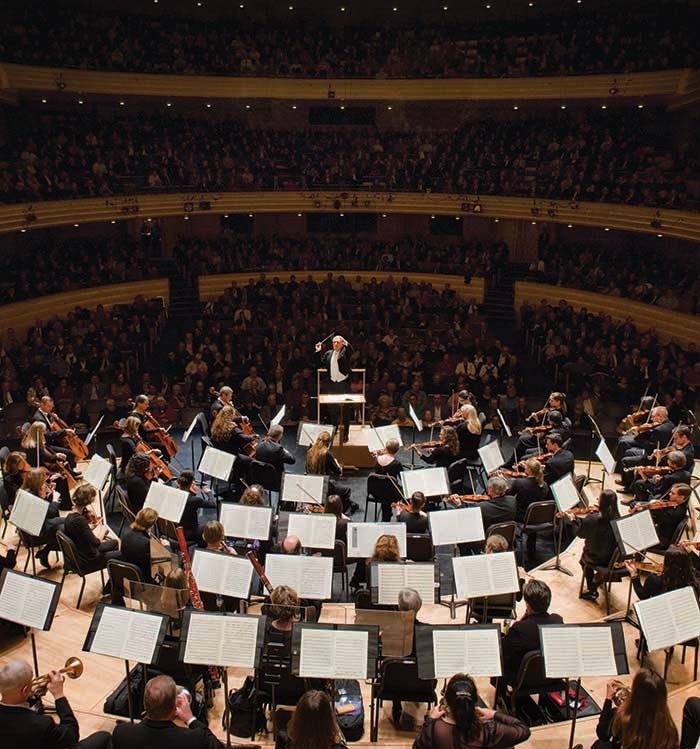 That is increasing less the case, now that short-staffed major media outlets in the Madison market have given up regular reviewing of the performing arts, even of concerts by the Madison Symphony Orchestra (below top) and the Wisconsin Chamber Orchestra (below bottom). 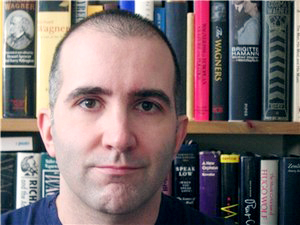 But this year, John W. Barker (below), the regular classical music critic who writes for Isthmus and also contributes a lot to this blog, did a fine job. It is very hard to be both short and comprehensive. So all I will do is give you a link to what John – an experienced teacher and reviewer — says. John — who also sits on the board of directors of the Madison Early Music Festival and who hosted a Sunday music program for WORT 88.9 FM for more than 20 years — and I have our disagreements, our points of contention. 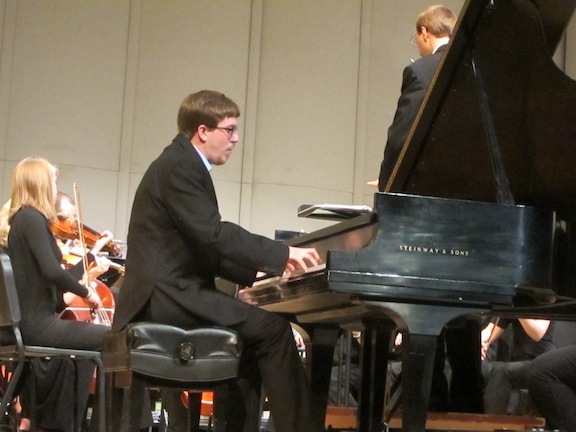 Our differing opinions about the pianist and University of Wisconsin-Madison alumnus Thomas Kasdorf (below) when he performed with the Middleton Community Orchestra provide one major example. 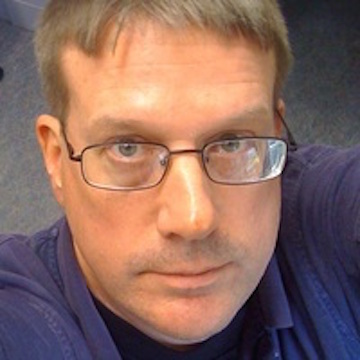 Nonetheless, John works very hard, writes very well and has a vast knowledge of music of all ages and in all genres. Overwhelmingly, I trust and agree with John’s seasoned views –- and so should you. You can check out his reviews for The Ear by using the search engine on the website. So here is what Barker says in the Isthmus annual summary for 2014. If you have something to say — to add something or to disagree or agree – please leave something on the section for Reader Comments. 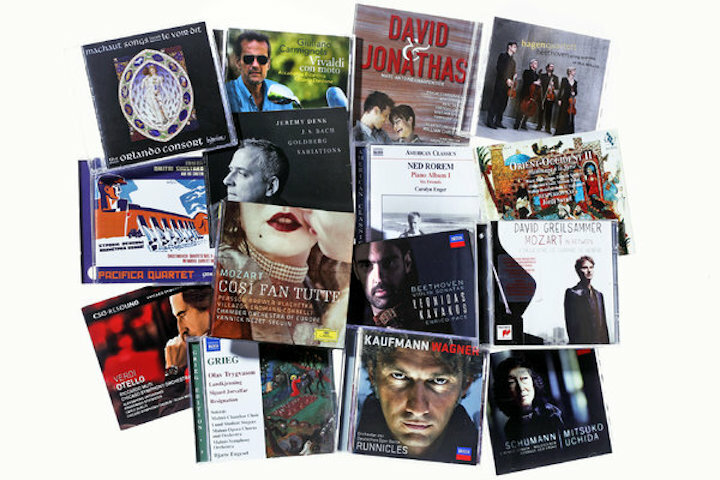 Classical music: Gramophone magazine names its Best of 2014 Classical Recordings. Here it is, along with several other major compilations. This post wraps up the holiday gift-giving season for this year. Over the past month or so, I have offered several major roundups of the Best of 2014 classical music recordings. 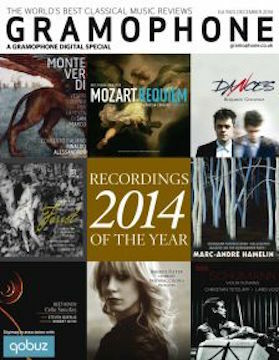 Now, as the year ends, here comes the annual compilation by the venerable Gramophone magazine out of Great Britain. 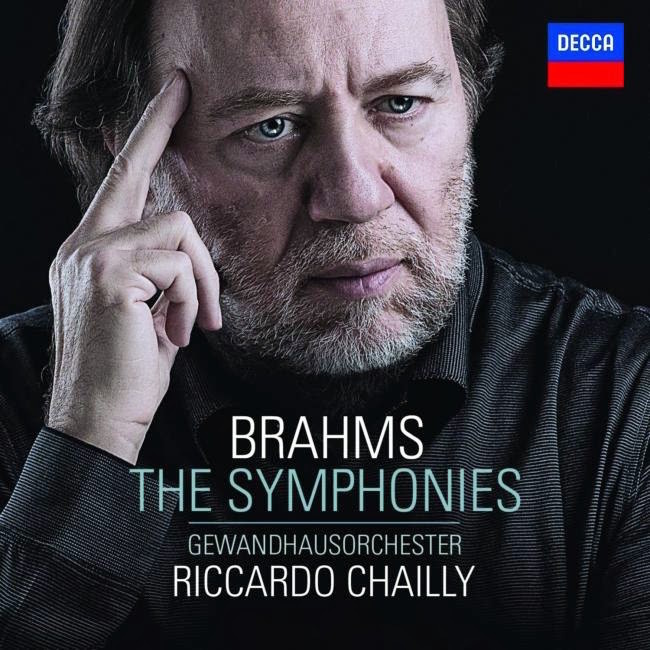 Top honors go to Riccardo Chailly and the Leipzig Gewandhaus Orchestra for their cycle of orchestral works, symphonies and overtures and more, by Johannes Brahms on the Decca label. But there is a lot more to look at and listen to, and, predictably, a lot of choices with ties to United Kingdom. Classical music: YOU MUST HEAR THIS: The slow movement from Dmitri Shostakovich’s Piano Concerto No. 2 in F Major. Well, this isn’t really holiday music. 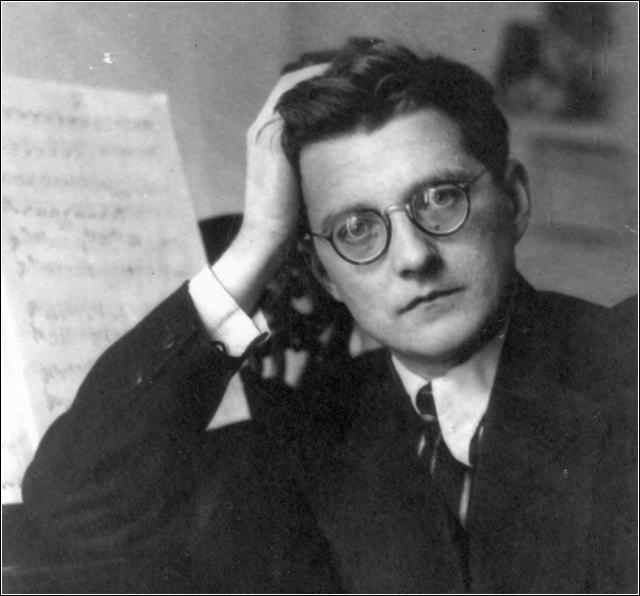 But I suppose you could consider it a “holiday” from the more tumultuous and dissonant, more acerbic or satirical writing, that Russian composer Dmitri Shostakovich (below) is identified with. It is gentle and lyrical, and quite lovely — even wistful. It is the slow movement -– marked Lento –- from the Piano Concerto No. 2 in F Major. He wrote it for and dedicated it to his son Maxim -– who has since become a famous conductor -– for his 19th birthday. And, if I recall correctly, Maxim performed it when he graduated from the Moscow Conservatory. Classical music: On Christmas Day, YOU MUST HEAR THIS – “The Shepherd’s Farewell” chorus from the oratorio “L’Enfance du Christ” by Hector Berlioz. Today is Christmas Day, 2014. As this year’s gift, The Ear wants to share something special. It is a work that usually gets drowned out at Christmas time by more familiar works — from “Messiah” by George Frideric Handel, the “Christmas Oratorio” by Johann Sebastian Bach, “The Nutcracker” by Peter Ilyich Tchaikovsky, “Amahl and the Night Visitors” by Gian Carlo Menotti and the “Christmas Concerto” by Arcangelo Corelli. The work I am talking about is the “Shepherd’s Farewell” to the infant Jesus whose family — Virgin Mary and father Joseph — must flee its homeland in face of the death threats posed by King Herod. 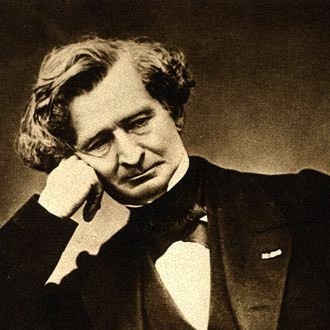 It comes from “L’Enfance du Christ” (The Childhood of Jesus) by the early French Romantic composer Hector Berlioz (below). The story goes that he was bored at a dinner party and sketched it out on a linen napkin. True story or not, the music is gloriously beautiful, calm and reassuring — in an appropriately pastoral way. This neglected chorus -– in fact, the whole neglected oratorio — deserves to be a much more integral part of Christmas celebrations. Maybe in future years, Hector Berlioz’ “L’Enfance du Christ” could be performed, in part or in its entirety, by the Madison Symphony Orchestra, the Wisconsin Chamber Orchestra, the University of Wisconsin-Madison Choral Union and UW-Madison Symphony Orchestra. It would make a wonderful holiday addition, or even tradition. Anyway, you listen and you decide. Then tell us what you think in the COMMENTS section. So here is the music, in a YouTube video at the bottom, running just under 5 minutes. Classical music: Get to know The Ear. 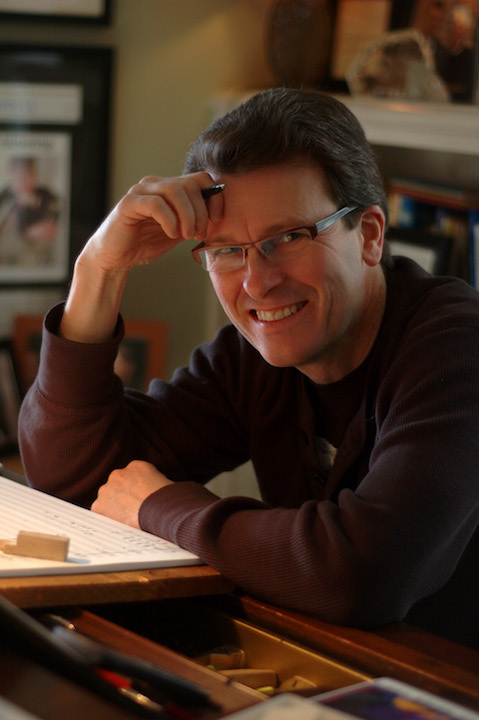 For Christmas this year, The Ear gives readers an interview with him done by critic, radio host and blogger Paul Baker. Lots of people exchange gifts today, rather than on Christmas Day. So, does this post qualify as a Christmas gift? But I’ll let readers decide and have the final word. 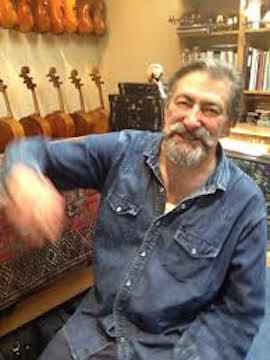 Recently, Paul Baker (below) visited The Ear and did an interview with him. The topics ranged from personal background to taste about the music I like and dislike, and my adamant support for music education. It may satisfy some people who want to know more about The Ear. Baker, as you may know, works in communications at the Wisconsin Center for Education Research, which just marked its 50th anniversary at the University of Wisconsin-Madison. 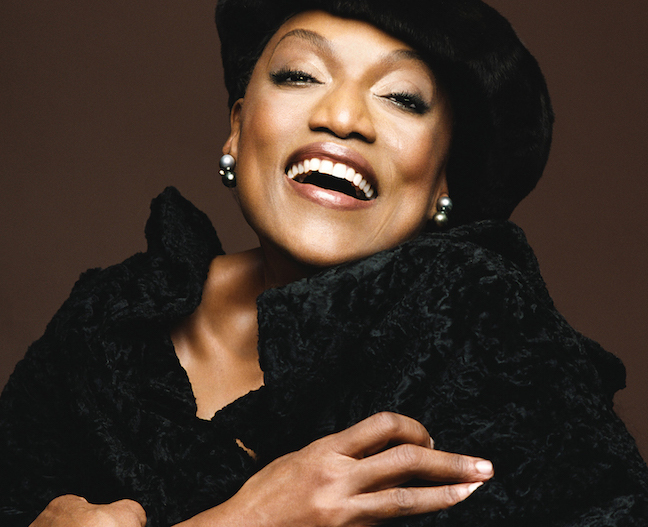 Baker specializes in jazz and was a freelance reviewer for The Ear when The Ear worked as the arts editor at The Capital Times. 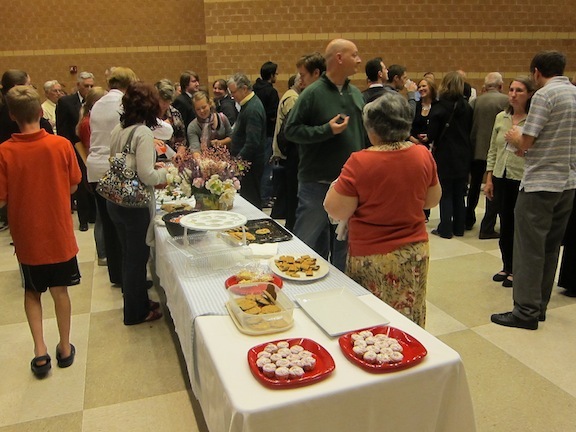 For years, Baker hosted “Caravan,” a show of Middle Eastern and Arabic music. He has hosted for WORT FM 89.9 in past years. 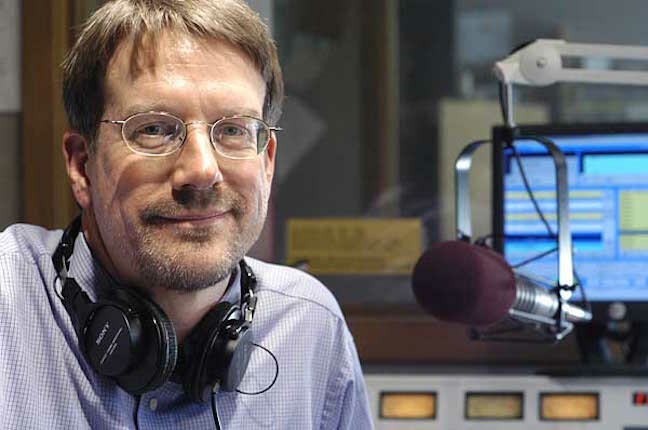 “I have volunteered as a radio music host sporadically since undergraduate days at the University of Kentucky-Lexington,” says Baker. 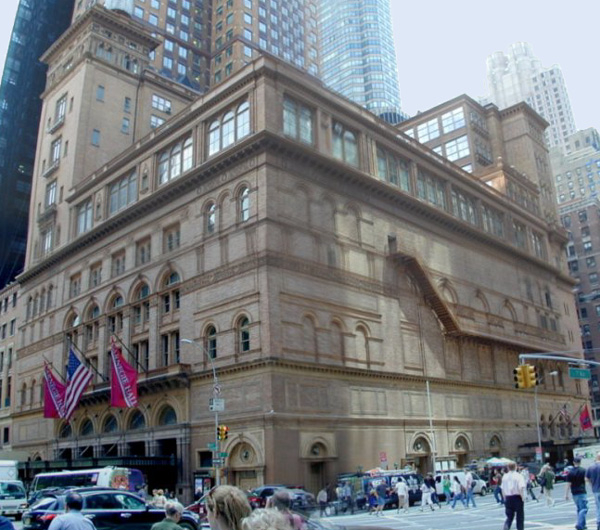 Classical music: Find out what eight famous composers were doing on Christmas Day. 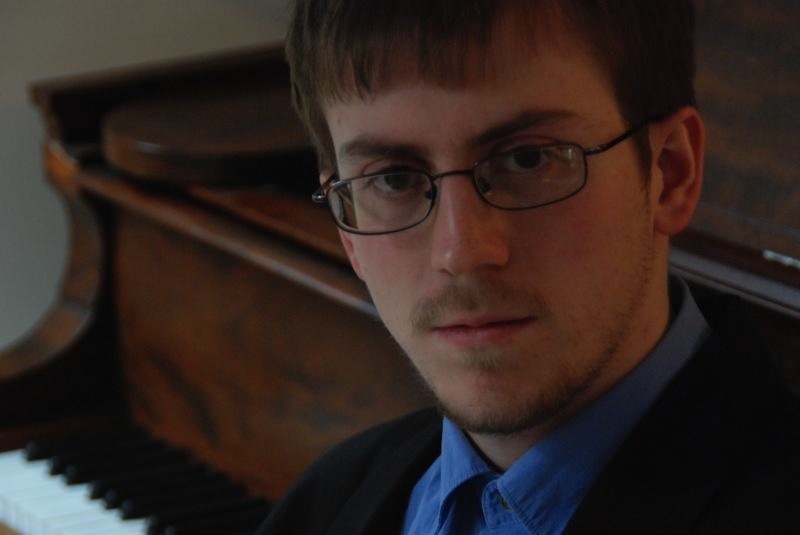 Plus, UW-Madison piano virtuoso Christopher Taylor performs Messiaen on WORT FM early on Christmas morning. 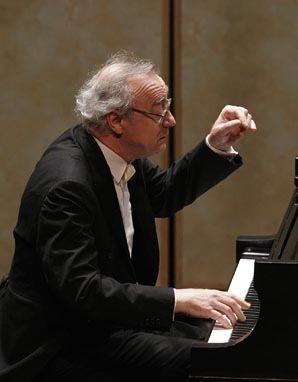 My Christmas Day 5-8 a.m. show on WORT will include a complete performance of Olivier Messiaen‘s “Vingt Regards sur l’Enfant Jésus” by University of Wisconsin-Madison pianist Christopher Taylor, as well as an interview that I recorded with Taylor about the piece and its composer. Here is an unexpected Christmas gift I stumbled across. It consists of Christmas Day excerpts from letters and diaries by and about eight Romantic and modern composers. They include Felix Mendelssohn, Gustav Mahler, Johannes Brahms, Richard Wagner (see the YouTube video at the bottom), Claude Debussy, Edward Elgar, Benjamin Britten and Sergei Prokofiev. I like that the various writings demystify the lives of composers, and artists in general, and shows their ordinary human side through what they thought, felt and did on a special day, even on a holiday. Classical music: The Ear likes very old Christmas music more than newer music. What do you prefer? 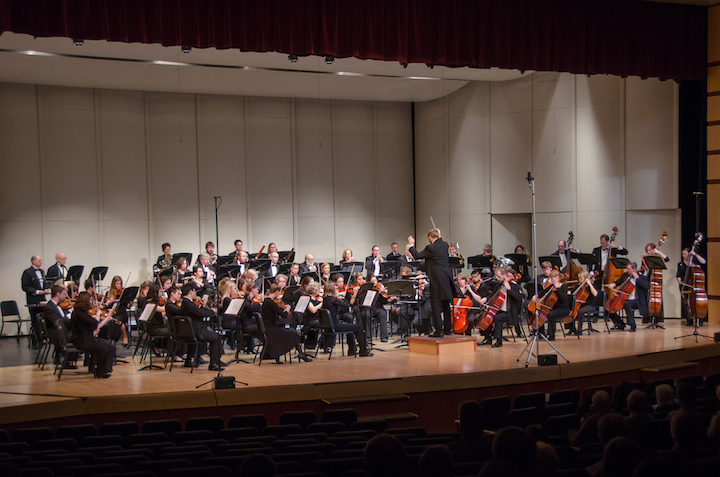 Each year in the Madison area there are so many wonderful concerts with holiday themes performed by the Madison Symphony Orchestra, the Wisconsin Chamber Orchestra, the Madison Choral Project, the Madison Bach Musicians, Edgewood College and by many, many others that you just can’t get to all of them. And it doesn’t help if you have a winter cold or aren’t feeling well, as happened this year to The Ear. But I did get to two memorable performances. The first was the terrific annual Choral Prism holiday concert (below) put on at Luther Memorial Church by various choirs at the University of Wisconsin-Madison School of Music. 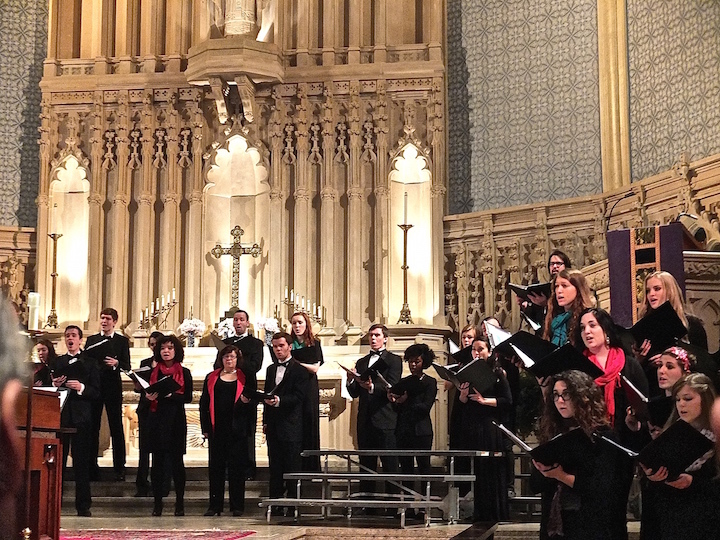 They performed under several conductors, including Beverly Taylor, Bruce Gladstone, Anna Volodarskaya and Sara Guttenberg. 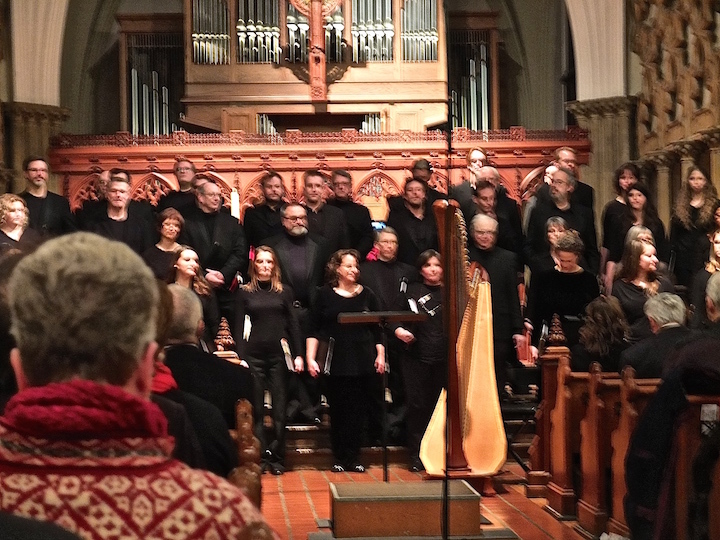 The second was the satisfying “Welcome Yule” concert at Grace Episcopal Church by the Wisconsin Chamber Choir under conductor Robert Gehrenbeck, who also teaches at the UW-Whitewater. Both events were excellent, and drew full and enthusiastic houses. But when all was said and done, the “winners” so to speak –- for The Ear at least -– were the old ones. I mean the very old ones, generally those works dating from the Medieval period and Renaissance period over the Classical, Romantic, Modern and Contemporary eras with the Baroque falling somewhere in between. Why did I like the old music so much? One reason was the performances. 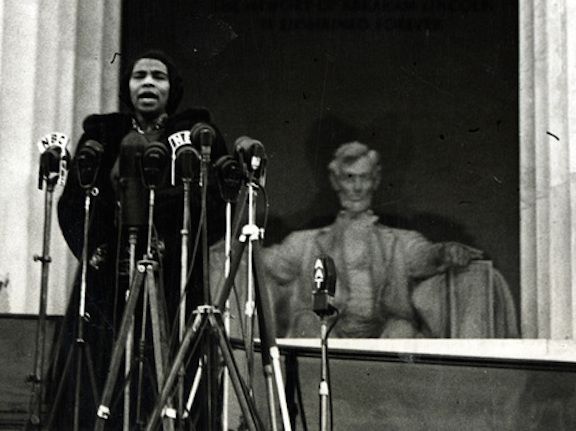 The straight-ahead singing, mostly a cappella or unaccompanied but sometimes with a bit of percussive drum or lyrical harp added, was much more convincing than when I saw modern largely white singers stiffly swaying and awkwardly stomping their feet and clapping the hands to get into the swing of things and show some unconvincing imitation of gospel singing. 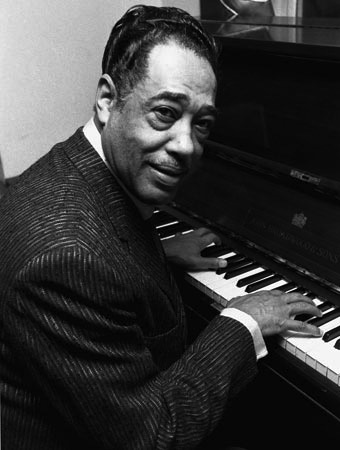 That means that what gets to me is the very simplicity, the strength of the rhythms and melodies as well as the simpler harmonies and compositional techniques. Simpler is simply better. No better proof was offered that a souped-up jazz arrangement of “Silent Night.” That venerable and quietly emotional carol cannot be improved upon by complicating it. Keep it simple. That seems to be the way to go. Another case of inferior “arranging,” I am afraid. I think of the old Medieval hymns about a mother simply rocking her baby Jesus to sleep as she sings to him. Can there be anything more touching or poignant, more to the point or direct, especially at a historical period when there was no nighttime lighting and so many babies died. More than nostalgia, such music offers the art of reducing things to the essential. And the essential, as the old composers seemed to know, is often the path to the universal. Of course, the plain song or chant-like harmonies also add to the appeal. But it still goes back to simplicity of the act and the simplicity of the metaphor. 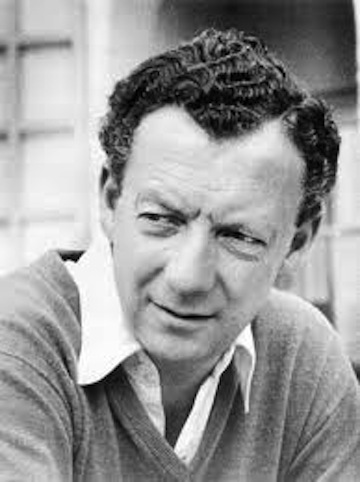 That is why the great 20th-century modern English composer Benjamin Britten (below) used so many older carols in his “Ceremony of Carols” to such great effect. That is also why 100 times out of 100 I will prefer the simple 16th-century German tune “Lo how a Rose Ere Blooming” (at bottom in a YouTube video) over, say, the long and tedious “Magnificat” No. 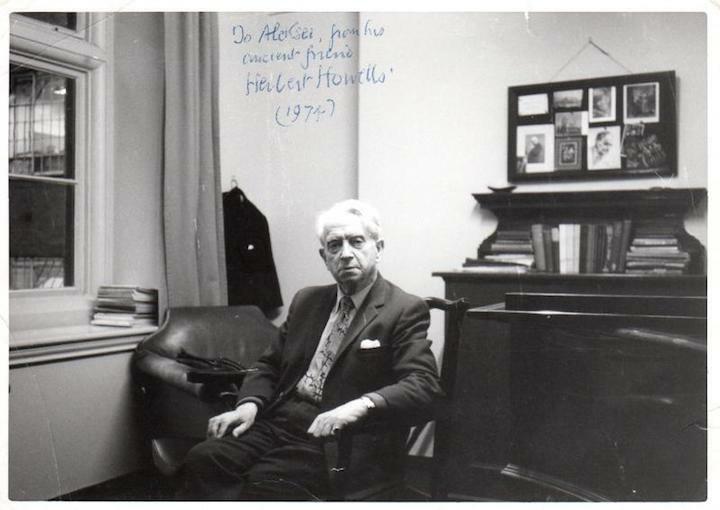 20 with its overworked harmonies and complexities for chorus and organ by another 20th-century English composer Herbert Howells (below). What do you make of the old music versus new music debate when it comes to holiday music? And what is your favorite local holiday concert to recommend for next year?